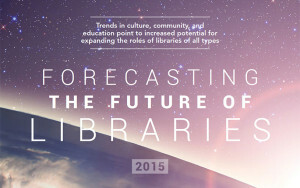 The Center for the Future of Libraries’ trend library ( ala.org/transforminglibraries/future/trends) brings together and organizes information from across industries to pres­ent succinct information on trends, including how they are developing, why they matter for libraries, and links to the resources that can further explain their significance. We’ve selected five trends from the collection to high­light. Visit the trend library to learn more about each and to see the expanding collection of trend information. Long a hallmark of internet culture, anonymity is a selling feature for new mobile apps such as Whisper and Secret. Information shared via anonymous apps includes emo­tional confessions, workplace secrets, personal boasts, and inspirational sentiments. Comments, as most do, range from the positive and affirming to the negative and critical, but many of the platforms actively discourage negativity. Anonymous content has become popular with users and fodder for news organizations, with several apps develop­ing relationships with news outlets. Several recent stories have brought to light the limited anonymity these applications actually provide—still track­ing user location and connecting to app store accounts, phone numbers, and password chains—making true ano­nymity a near impossibility. If anonymity encourages deeper discussion and per­sonal revelation, it may actually help build community. Even if anonymity flourishes, people will still need places to formalize relationships, engage in open dialogue, and seek reputable information—spaces and services that libraries and librarians can provide. Anonymity is a selling feature for new apps. In the face of limited resources and combating social is­sues (hunger, poverty, education), organizations are adopting common agendas to address issues within their communities. In a 2011 article in the Stanford Social Innovation Review, John Kania and Mark Kramer introduced the collective impact model, defining it as “the commitment of a group of important actors from different sectors to a common agenda for solving a specific social prob­lem.” Projects utilizing the model experience large-scale so­cial change, from im­p r o v e d cross-sector coordination as opposed to traditional models that leverage isolated in­tervention by individual organizations. While crafting enhanced solutions, projects using a collective impact model might also provide better experi­ences for individuals affected by these complex social issues, allowing them to simplify navigation over a coor­dinated network of agencies and programs. Libraries and librarians might become highly valued and critical partners in collective-impact responses to community issues. But as funders and governments seek more coordi­nated responses to social issues, libraries and librarians may need to strategically align their services and pri­orities with community-wide responses. 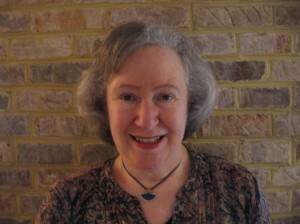 Participation in collective-impact projects may require increased time and commitment, developing shared interests and strat­egies, managing across staffs and priorities, persuading stakeholders and boards, evaluating a diverse range of activities, resolving disputes, and sharing successes as well as failures. The Laughing Goat at the University of Colorado Boulder’s Norlin Library offers library patrons natural light, Wi-Fi, and locally roasted organic coffee. Fast casual—a popular and growing concept in restaurants positioned between fast food and casual dining—incor­porates counter service, customized menus, freshly prepared and higher quality foods, and upscale and invit­ing dining spaces. Even as fast casual restaurants lure diners with more natural, local, and organic menu options, they also inte­grate technology, with customer loyalty apps, online or mobile ordering, and mobile payments. This has helped increase their appeal to millennials who are more influ­enced by digital engagement, convenience, authenticity, and emphasis on quality than traditional advertisement. In other hospitality sectors, fast casual has advanced the growth of living-room-like flexible spaces (multiple and varied seating arrangements, easy-to-find power outlets) that accommodate social and business needs, cater to upscale tastes, and are tech­nologically savvy. The growth of fast casual is reflective of the ever-changing consumer values, including desires for more aspirational experiences, active and shared spaces, and upscale and tech­nologically connected fea­tures. 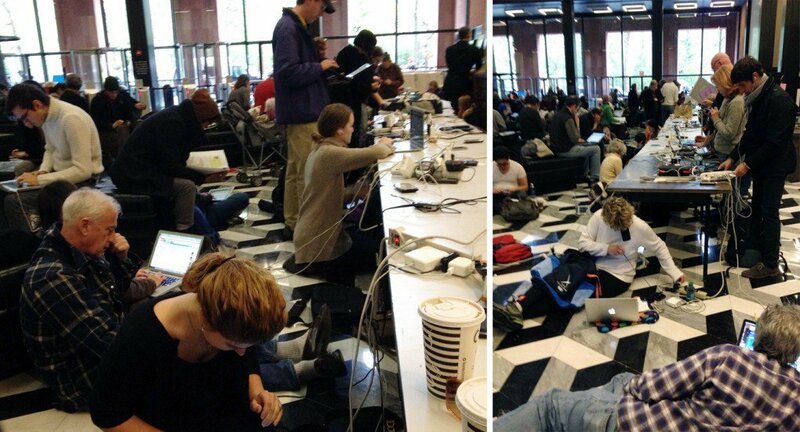 New York University’s Bobst Library becomes a community space for connecting space for connecting and charging devices in the wake of Hurricane Sandy. Resilience includes preparation for and rapid recovery from physical, social, and economic di­sasters, including natural disasters, terrorist at­tacks, or economic collapse. The Rockefeller Foundation’s 100 Resilient Cities initiative has worked with cities around the world to develop a road map to resilience, including estab­lishing a chief resilience officer, strategy develop­ment; access to private, pub­lic, and NGO partners that can help develop solutions; and membership in a network of like-minded cities. As city, state, and federal governments adopt resilience as a strategy, libraries may likewise need to align facilities, services, and programs. Resilience re­quires community involve­ment—encouraging individuals to make preparatory and preventive decisions and providing resources and in­formation prior to, during, and after incidents. 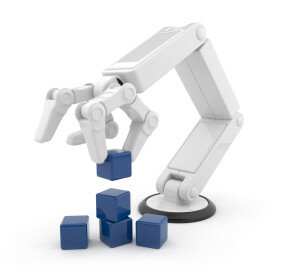 Robots are moving from industrial and factory settings into everyday work, educational, research, and living spaces. These collaborative robots (or CoBots) will be able to perform repetitive tasks and work alongside humans. The declining cost of sensors and computing power that allow robots to react quickly and intelligently will help robots become safer and take on greater roles alongside humans. 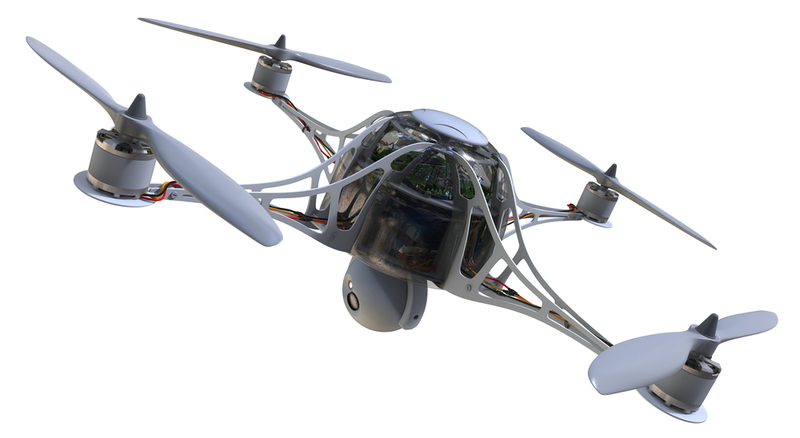 Robots may increasingly be introduced as couri­ers and messengers that can operate in programmable environments. Navigation and abilities may be improved by the increasing connectivity of devices and things (the internet of things) that will equip objects with computing and radio devices detectable and distinguishable for mo­bile robots. Several libraries have utilized robots to help with ma­terials’ retrieval and sorting. 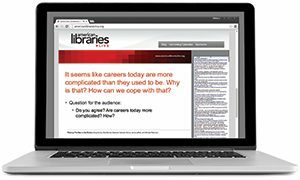 Still other libraries have seen robots and robotics as a next wave for technology access and training, even lending robots to help users experience what might soon be a regular part of their futures. 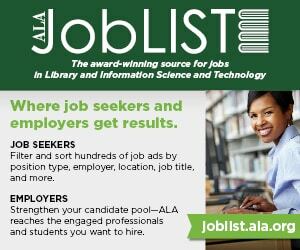 MIGUEL FIGUEROA is director of ALA’s Center for the Future of Libraries.